At 13:05 the attack began. In a northern flanking maneuver, the Royal Engineers began clearing a route through the minefield and barbed wire belts using Bangalore torpedoes. Périers Ridge, Normandy. 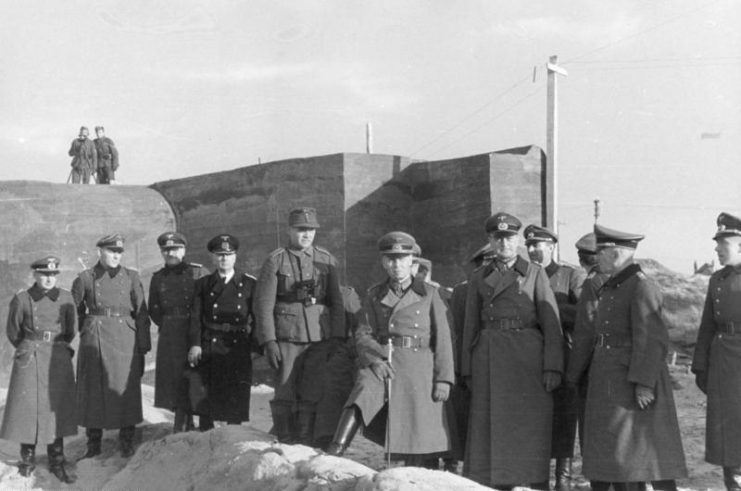 Maintained by volunteers and donations, this building block of Hitler’s Atlantic Wall is a hard-hitting insight into what the Allied forces were up against during the invasion of the French coast. The Normandy coastline is home to ever-expanding villages and new-builds that are slowly joining together to create one complete terrace of housing. Autoroutes connect the ports and towns to inland cities such as Bayeux and Caen, while cars and trucks whoosh along them like a never-ending conveyor belt. Once you leave the car and hop on a bicycle and ride inland, the sights and sounds of the new world rapidly melt away and you’re left with a recognizable Normandy; stone walls, old barns and houses, and châteauxs with water mills. Then there are the concrete bunkers–large lumps of curved gray concrete with twisted steel rods exposed where it has been hit artillery shells, grenades, or bombs. In one nearby farmer’s field, attempts were clearly been made to blow up an old German stronghold into manageable pieces and failed. The farmer now plows around the rubble. 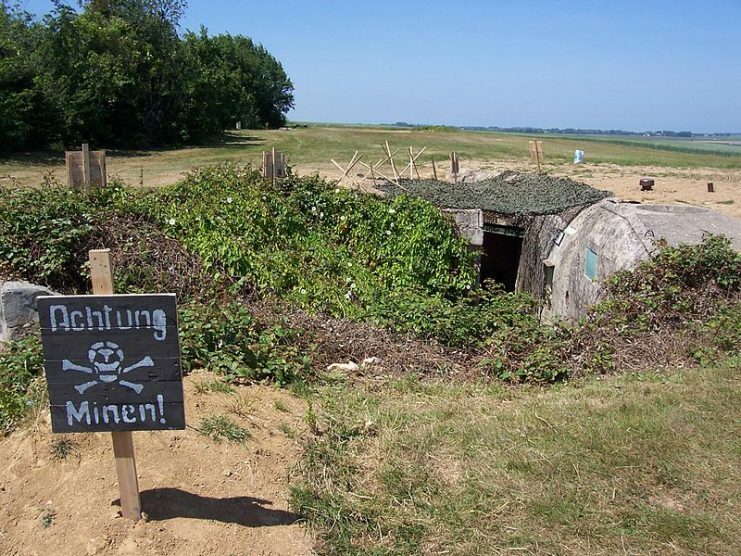 These steadfast bunkers are often all that remains Hitler’s Atlantic Wall. Once the war came to an end in 1945, France swiftly said “au revoir” to the anti-tank and anti-personnel paraphernalia that littered its beaches. Barbed wire was coiled up and re-used by local farmers to pen in their livestock, while the mine fields were cleared by teams of experts. The Hillman Strongpoint appears seemingly out of nowhere as you bike down the old Route de Colleville (now Rue Suffolk Régiment), a mile behind Sword Beach. 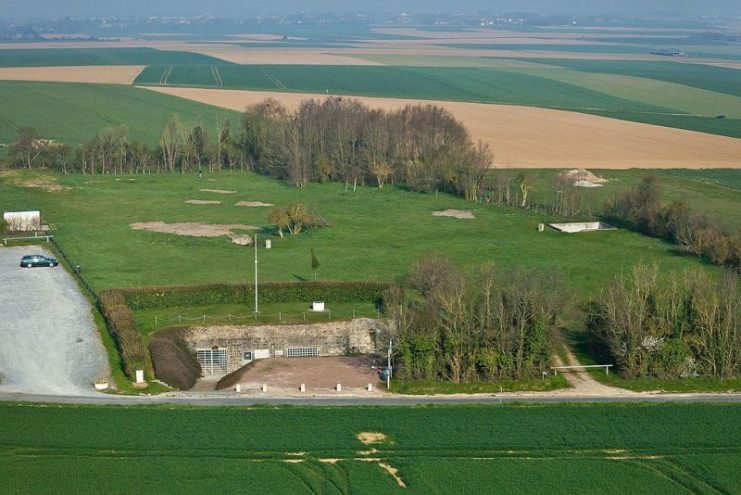 Its bunkers are cut into the ground and so well covered that it’s only thanks to the British, French, and German flags on tall poles that inform travelers that something important is there. 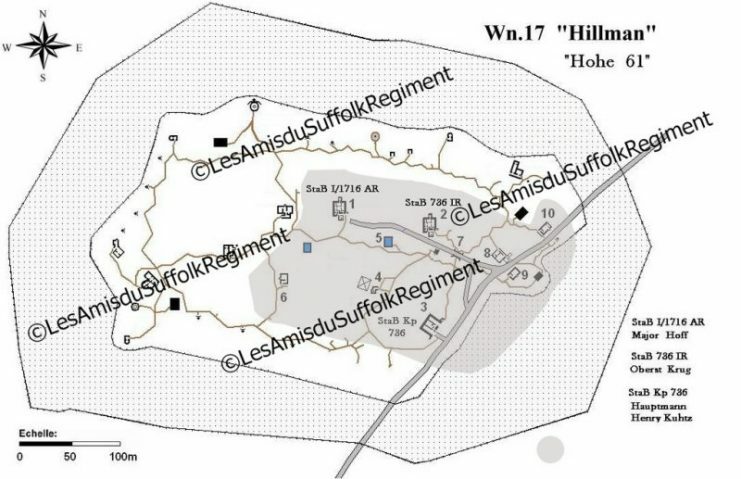 By the time its construction was complete in the 1940s, Hillman stretched over 2000 x 1300 ft (600 x 400 m) and housed 12 emplacements, each connected to one another by a system of shallow trenches and tunnels. The concrete bunkers were dug deep into the ground with their entrances facing away from the sea and the road. The rusted cupolas, look-out posts, and chimney stacks are all that can be seen as you travel up the Route de Caen. On D-Day itself, Hillman housed 150 men of the 736th Regiment, including its commander Colonel Ludwig Krug. The men of this German strongpoint would have heard the Allied 3rd Division landing on Sword beach in the early hours of June 6 1945 and likely would have received confirmation by telephone. They had to just sit and wait. Perhaps they called in artillery using their look-out posts and telephone connection to Caen. They knew that if their comrades defending the shoreline couldn’t hold off the Allied forces, they would soon have to face them themselves. The 1st Battalion, Suffolk Regiment commanded by Lieutenant Colonel Richard E. Goodwin, landed on Sword Beach at around 08:30. They pushed up the beach and into the seaside village streets, facing machine gun fire from bunkers and German soldiers in trenches. The 1st Battalion then pushed inland, supported by tanks of the Staffordshire Yeomanry and the 13/18th Royal Hussars, mortars of the 76th Royal Artillery, 246th Royal Engineers, and a machine gun platoon of the 2nd Middlesex Regiment. Commander of A Company, Captain Geff Ryley, went ahead with a team to reconnoiter the Hillman Strongpoint. Marking the coordinates on his map, he then rushed back to tell the mortar crew and tanks to begin shelling the bunkers. At 13:05 the attack began. In a northern flanking maneuver, the Royal Engineers began clearing a route through the minefield and barbed wire belts using Bangalore torpedoes. Lieutenant Mike Russell then led A Company through the gap and dived into the German trenches. The attacking men were almost immediately met with fierce machine gun fire. Captain Ryley was killed and A Company was forced to retreat. More fire power was needed before attempting another attack. Sherman tanks were brought up and began shelling the site. Whilst effectively hitting the bunkers and trenches, the tanks’ shells bounced off the cupolas–a testament to their design. 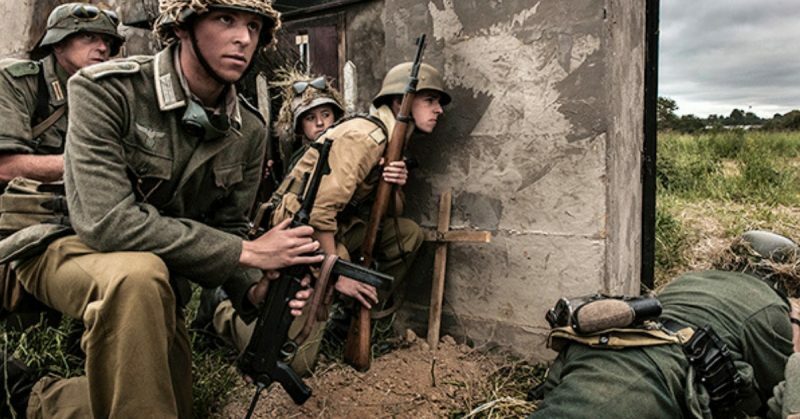 After another heavy shelling, the 1st Battalion launched another attack and began systematically taking the bunkers one-by-one, fighting their way through the trenches and bombing the bunkers with grenades. The peppering effect on the interior of the bunkers is still very apparent today. Private J. R. Hunter was awarded the Distinguished Conduct Medal for his bravery in taking one of the outer-lying bunkers with no consideration for his own safety. He quickly earned the nickname of ‘Bunker Hunter’ from his unit. 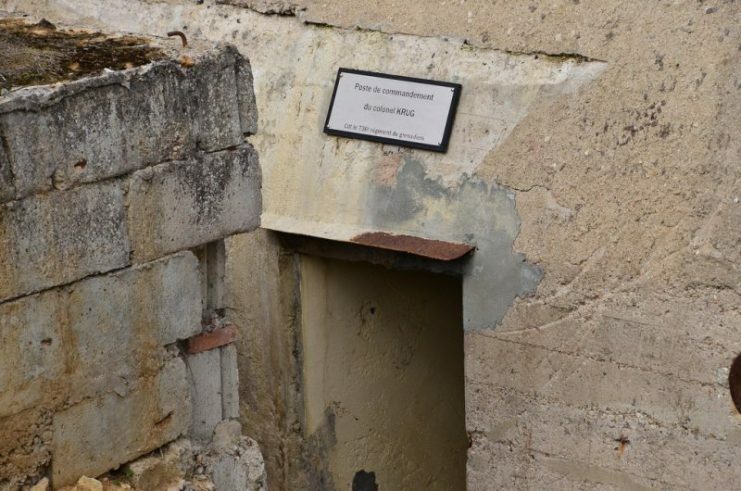 A plaque dedicated to him is now displayed above the entrance of the bunker. 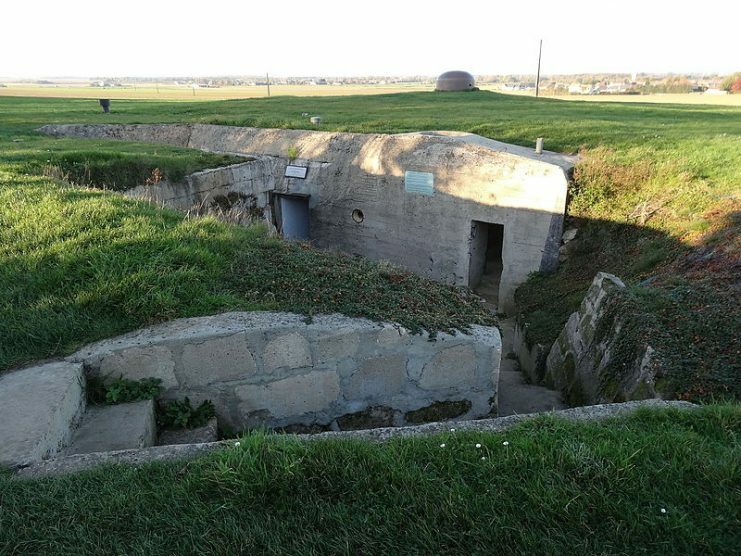 By 20:15, all but one of the bunkers were in Allied hands. By the time the 1st Battalion captured the final bunker in the early morning of June 7, the battalion had lost two officers and had 24 wounded. 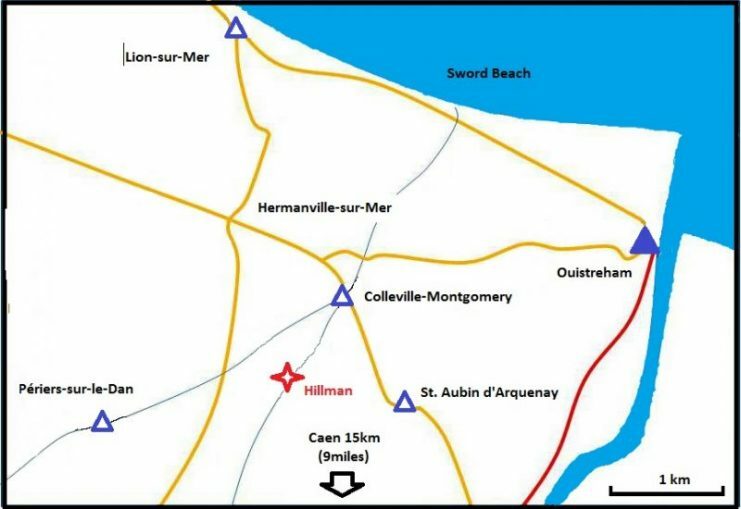 Named after a British car manufacturer, Hillman was one of four strongholds that stood in the way of Caen, one of Normandy’s pivotal cities. 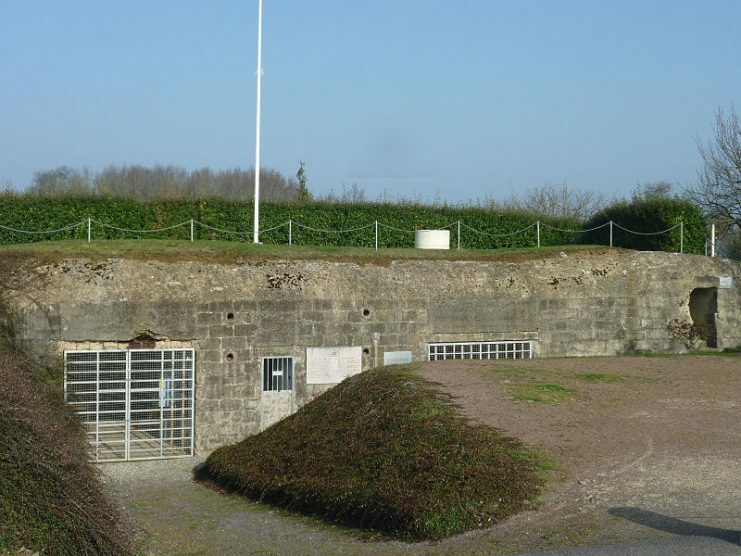 The heavy fighting and strong defense of the bunker complexes are widely cited as a significant factor behind the Allies being unable to take Caen on June 6 as initially intended. The Battle for Caen lasted until August 6, 1945, after vicious and costly fighting by British and Canadian forces.